A live-action Sword Art Online is coming to Netflix. Executive producer Laeta Kalogridis says neither she nor Netflix is interested in a whitewashed version. Well, let's get the obvious bit out of the way, right away. SAO is an essentially Japanese property, in which Kirito and Asuna, who are the two leads, are Japanese. 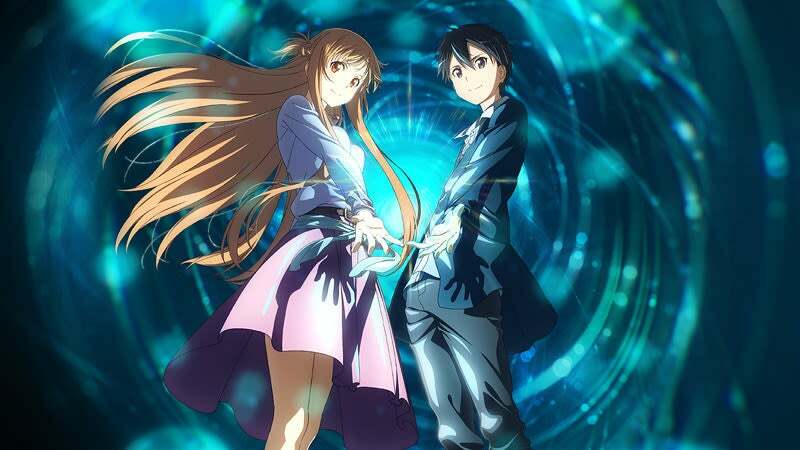 In the television show, Kirito and Asuna will be played by Asian actors. Whether or not that was the question underneath your question, it's not a conversation about whitewashing. When I sold it to Netflix, we were all on the same page. They are not interested in whitewashing it, and I am not interested in whitewashing it. In terms of the secondary characters, because the game is meant to be global, the way it's presented in the anime and in the light novels, there are secondary characters that clearly are from other parts of the world, like Klein and Agil. To me, it's very obvious when you watch it that you're meant to take that this game spans the globe, but Kirito and Asuna are very clearly located as kids from Japan, and Tokyo, if I'm not mistaken. That is what we will be doing because that is the story. They are, in my mind anyway, much like Major Motoko Kusanagi in Ghost in the Shell, defined in part by being seminal characters in an Asian piece of art. That's the first and biggest thing. The live-action Sword Art Online series hasn't yet been given a premiere date. No idea if this adaptation will be any good, but it sounds like the show is starting off on the right foot. All fair and cool, but I've always found it interesting that foreign characters in anime are just Japanese with foreign names and one or two bald black Japanese fellas anyway. It's why I found it strange that people got so annoyed at an all Japanese cast for FML. People got mad at that? That's stupid. I think all anime adaptations should be japanese-cast, unless they've change the setting to the US or something. FMA I meant and I can kind of understand with everything built around European architecture and names, but yeah, filling a Japanese film with a European cast, who all act Japanese would have been an impossibility. I personally would have liked a FMA with a European cast for people form Amestris, Middle Eastern from Ishval, and then Asian for Xing. A more diverse cast would have been awesome and made sense as everyone had appropriate names and mannerism for their respective countries. That's just me that canonical makes sense. Oh I agree, it's something I would love to see a big budget western adaptation of but I'm talking about the Japanese film of a Japanese manga/anime. Everyone may have had appropriate names but every character was a Japanese anime trope in speech and mannerisms, much as almost every other anime/manga set in a foreign or fictional place. Here's an example of the Roy Mustang and crew from the English dub of the anime, all American accents but mannerisms are undeniably Japanese. Maybe one day we will finally get that Evangelion adaption that always seems to be rumour. got a good laugh at your last sentence. "filling a movie with people who can act japanese would be hard". its a movie isn't the only thing they need to be able to do is 'Act' a certain way? I suppose it is when you do that. But let's elaborate and expand, let's say to want to cast a Japanese film in the language, have a fully diverse cast of European, Asian and middle eastern people, but each and every one acting Japanese, with the speech mannerisms of the characters and culture. I would wager the casting would go on forever. Don't get me wrong, I would love to see such a film, just being realistic. You just need to look at the diversity in Asian films to realise it would be insanely difficult. But they just need to act like the characters in the show, they dont have to act completely like japanese people all the time. But yeah definitely still hard if you are talking about making it all in japan. I think FMA is one of the few animes where i would want a really diverse cast, like archfiend says below. Obviously i get why they didn't, it was an adaption done by the Japanese it makes sense to have japanese actors, just like it makes sense for Hollywood adaptions to have US actors, so i dont get why people complain that way either. Considering what went down with the Death Note live action, and 99% of western adaptations of cartoons and comics, approach with major concern and caution. Also, mess with Death Note races but not Sword Art Online. Mess with Ghost in the Shell but not Sword Art Online. Gotta love the selective process, passing over two instances where it'd matter much more than here. Well thats where you cant, the big bad pulls a fast one on them an uploads their real faces, genders and body types into the game after he broke the news they are trapped in the game. They could be any race or gender until that point. In the game they are identical to their real world selves, so it matters just as much as any other. Would be funnier if they got the rights to Sword Art Online... but then used a story like SAO Abridged storyline. Embrace they mess up making live action animes work in the West and turn them into self referencing comedies. Take the mercenary approach and go for the best business decision, whatever that is. Chase the money and/or bigger demographic (don't always coincide). Whether that appealing to purist who must have no whitewashed leads or by shilling and trying to exploit star power to pull in people not knowledgeable about the source. If you can do both even better, but someone always going to hate it. Really in the end though, nothing major story wise is dependent on the characters being Japanese or from Japan. Yes it their backstory but it doesn't really drive the plot, and could be modified with effort to account for a non Japanese cast. But in that case you NEED to actually adjust and not just call a square a circle. However that seems like a huge waste of time and effort really. And currently there good business returns to non whitewashing. End of the day, if done as well as possible SOA live action will probably be average and most likely it will probably be poor. I just hope to God that they only adapt the first half of the first season.